This weekend, I found myself searching the interwebz for slip-stitch patterns, as I’d like to do a variation on my socks, and also have seen some nice photographs of other slip-stitch patterns I can tell I’d love on socks. If you haven’t seen it yet, go check it out! I do apologize for the somewhat crappy photo, and the long hiatus my stitch library has seen. Life’s been a bit crazy lately, and it’s not going to get any better soon. The Stitch Library will be updated as often as I get around, which might not be as regularly as I had hoped. Ah, well. Sometimes you just gotta roll with the punches. 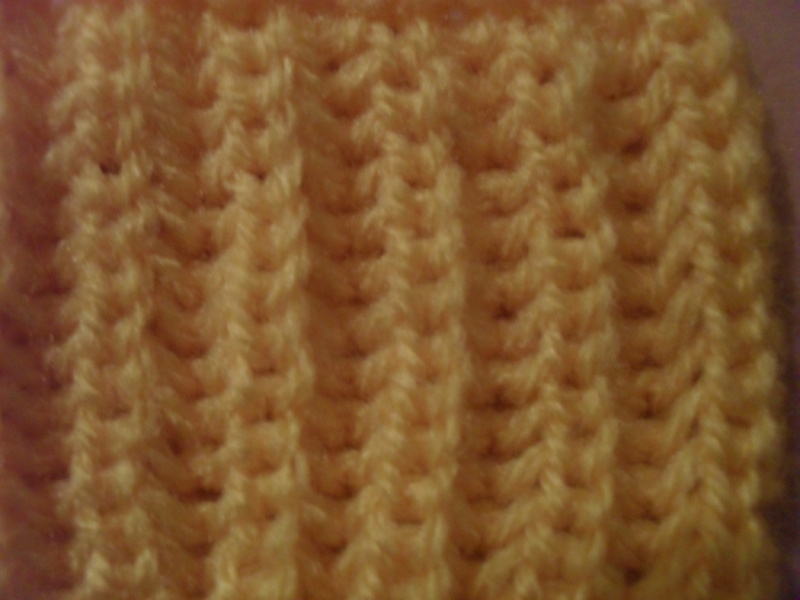 This stitch would be perfect for a scarf, as it doesn’t really have a right or wrong side. It also creates a nice, full, fluffy feeling for the knit: The Brioche Rib. The Shawlette is dead, long live the shawl! Okay, technically, it’s a scarf. I think. It’s from the same book, Victorian Lace Today, and it’s called “Large rectangle”. Somehow, I imagined victorian lace to be named a bit more … poetic. Grand. Impressive. But here we are, with the large rectangle. Mine isn’t large yet, btw. That’s because I only started it last night. After spending two hours ripping the shawlette. It was pretty, but it wasn’t for me. You know the feeling, you look at something, and you kinda love it fiercely, because in the bottom of your heart you know that you and it aren’t a fit. This one was too small. The wrong shape. 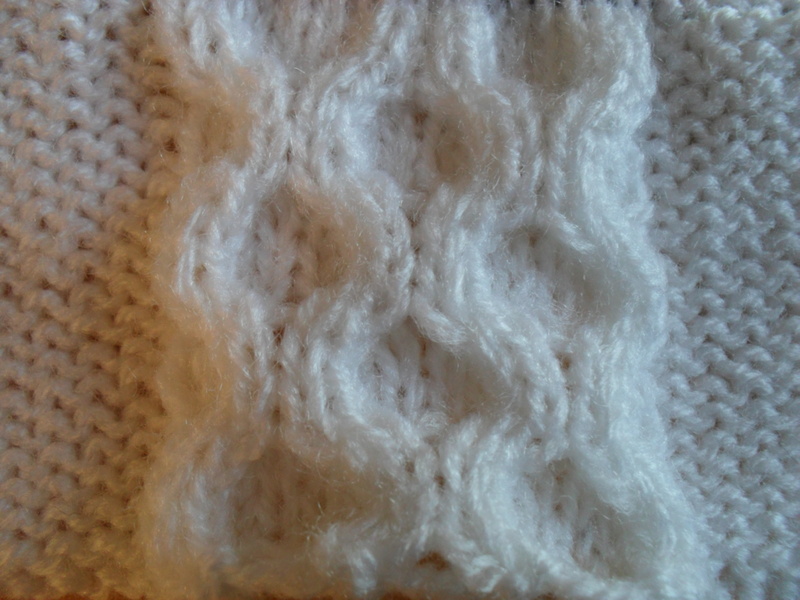 And, let’s face it, a bit braindead – after I added these extra wrong-side purl rows in. I just released it from it’s pain. The pain of being a pretty yarn in a mishap body … okay, maybe I’m pushing it a bit now. Anyhow, after ripping the shawlette (and giving a passable George Carlin impression while doing so), I started the large rectangle, which is basically a scarf with a diamond lace pattern. I like it a LOT better already, although I’m not very far in. 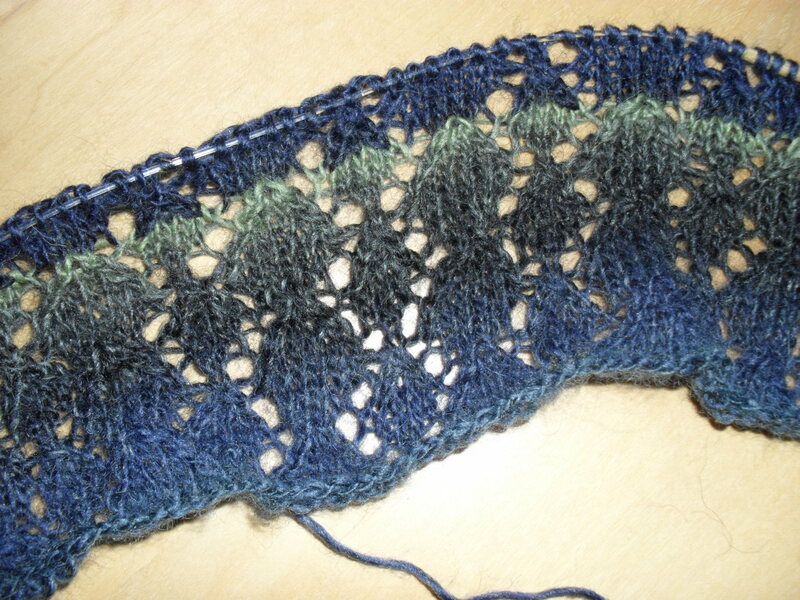 Author kokorimbaudPosted on August 24, 2011 August 24, 2011 Categories Other knitting, VintageTags knitting, lace, rib pattern, stitch library, victorian laceLeave a comment on The Shawlette is dead, long live the shawl! The new stitch in town: the honeycomb pattern. Despite the fact that I’m showing it over 2 repeats here (which is only because I seem to have trouble counting … ran out of fingers), I like best in 3 or more repeats. As usual, written and charted – tho I swapped to a different font, which I like better – let me know what you think! Author kokorimbaudPosted on August 9, 2011 August 10, 2011 Categories Stitch LibraryTags knitting, lace, stitch libraryLeave a comment on New Stitch: Honeycomb!